Three types of particles are found in soil: sand, silt and clay. Soil texture is classified by the type of particle that makes up the majority of the soil. Each soil type has a distinctive textural feel and holding a sample of your garden soil in your hand may help you determine the type of texture that makes up your garden soil. Sand is the largest of the particles found in soil. It is a sharp-edged material, giving the soil a gritty feel. When wet, it remains course and breaks apart easily. Beach sand is at the extreme end of sandy soils. Sandy soil holds almost no nutrients and does not retain moisture. Plants do not grow well in this type of soil. Silt particles are smooth and smaller than sand particles. When wet, a silty soil feels mud-like; it's smooth and has a silky texture. It's rich in nutrients but retains moisture to the point where garden plants are unable to access oxygen. In a silty soil, plants wilt because they can't breathe. Clay is the smallest of the particles and a clay soil will clump and feel sticky when wet. Air flow between particles is limited if not non-existent. When dry, the soil has a dusty feel to it and the surface is hard and dense, making it difficult to work the soil for tilling or digging. Although high in nutrients, clay soil is less than ideal for gardens. Plant roots may not be able to penetrate the dense soils to access nutrients and oxygen. Loam is a combination of all three particles-- sand, silt and clay--in nearly-equal proportions. The large sand particles promote drainage and air flow within the soil. The smaller silt particles are rich in nutrients and aid in moisture retention. 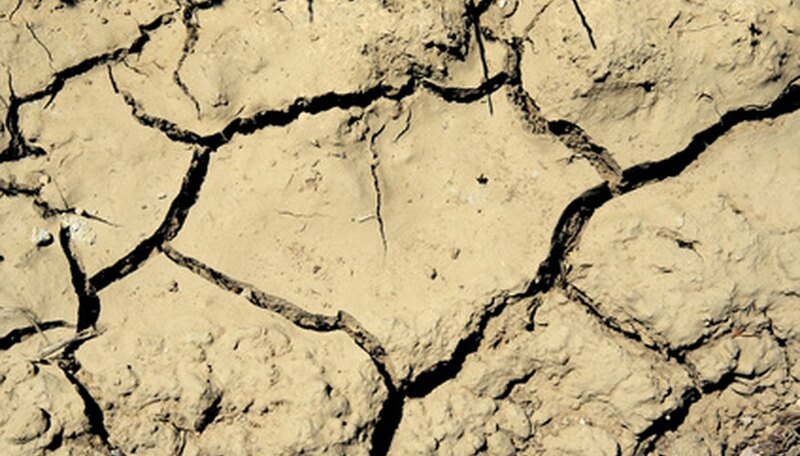 Clay, also rich in nutrients, balances the poor soil retention of the sand and the excessive moisture of the silt. Amendments do not change the texture of a soil unless you are adding sand, clay or silt to existing soil to create loam. The balance of a loamy soil makes for good garden soil, but it does not address the need for organic matter such as compost. Organic matter is necessary to maintain the health of the soil by continually renewing nutrients and aiding in moisture and oxygen control. Soil, made up of sand, silt and clay, is the body of your garden and organic matter the food. Fine Gardening: How's Your Soil Texture?